I will bleed it again tomorrow evening, really hoping thats it and not the slave cylinder. Thank you for the reply! Hi Ian, I tried it this morning first by tapping the relay but fan stayed on. When i tried to pull the relay out the plastic top came off and the rest stayed in but the fan did switch off. So im gonna get a new relay and replace that one, hoping it will resolve this issue but will update here once ive done that. Thank you for the ongoing help :D Also do you maybe have any ideas regarding the back wiper stopping all over the place, Gems has already been replaced but still faulty. ok that makes sense, I will have a look at it tonight and let you know. You want me to take it out test, put it back test right? I quickly checked the GEMS this morning and that relay is marked as 18, im still looking for a relay chart online as my car doesnt have a handbook I bought it without it. Will see what I can find. I will try this tonight as I didnt get a chance yesterday, do you think it could be a problem on that relay? I had to carry over one relay which is the one on this pic circled : http://imgur.com/Eix8ZyX Im not sure what that relay does but I would imagine the blower fan and wiper use separate relays. When I replaced it everything worked apart from remote central locking with the key, that only worked again once I put the original GEMS back. I guess it could be that I got a GEMS with the exact same fault as mine but the odds of that are fairly low I think. Hi all, ive replaced my GEMS with a like for like model and I got and I am having the same problem, internal blower stays on when switching car off and rear wiper does mini swipes and stops where is wants. Can anyone please give me any advice or things to try now? I've managed to pick up a GEMS module on ebay from a scrapped Focus same year as mine and same part number so thinking I wont even need to reprogram. Gonna swop it out with mine when it arrives and see if this helps. Is it true that the whole GEMS unit needs to be replaced then as I read on some other posts? Cant remember which ones but have tried reading up on this quite a bit. Ahh thats not too bad then, as I need to replace the rear wiper relay as well from reading other posts about intermittent wiper stopping. Thanks for the response mate, very helpful. Just as I posted this I found a video showing exactly how to remove the bulp for the foglight, but would still like to hear your guys' input regarding buying spares from a scrapyard. The rear wiper Ill buy new as a side note. Hi Guys, Recently bought my '05 Focus 1.6 Zetec MK2 and a few bits and bobs here and there that I would like to sort out like new back wiper, spare wheel cover and bolt holding it missing and passenger side fold down handle broken. My thinking is that I can get these things from a scrapyard, using breakerlink or something similar. My question though is about the front left fog light which is not working, is this a simple bulp replacement or when they go do you need to replace the whole unit like you have to on some cars? If its simply a bulp I can just get a new one and fit it but if its a unit I figured getting it from a scrapyard would be cheaper. What are your thoughts on this? 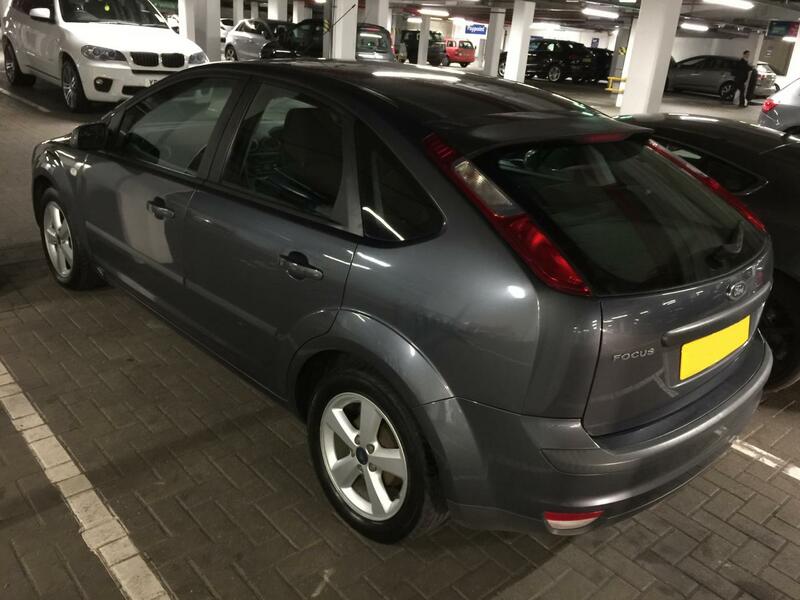 Hi All, Shawn here and im a new member as I just bought myself an 05 Ford Focus Zetec 1.6 and have been lurking around here and found some great advice before buying so thought I'd join.